Stephen Cutler is a firm believer in the concept that opportunity is where luck and preparation meet. 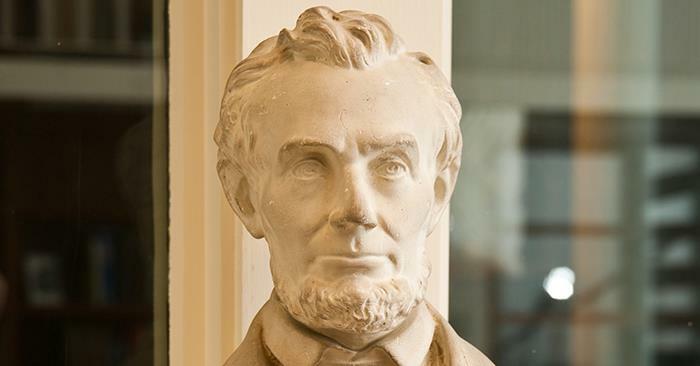 Throughout his time at Truman, he has done his part to make sure he is prepared. A business administration major with concentrations in marketing and management, his love for anything with an engine has him planning for a career in the automotive or aerospace industry, and he has already completed multiple internships, including two with Boeing. Cutler is certainly prepared, and while scrolling through LinkedIn during his lunch break last fall, he was lucky enough to see a posting for a dream position. Within two weeks he received the opportunity of his lifetime – an eight-month internship offer at Tesla. Based in Palo Alto, Calif., Tesla specializes in electric vehicles, energy storage and solar panel manufacturing. In its relatively short existence, it has already become synonymous with innovation, and years from now, future generations might credit the company’s rise with the golden age of energy sustainability. 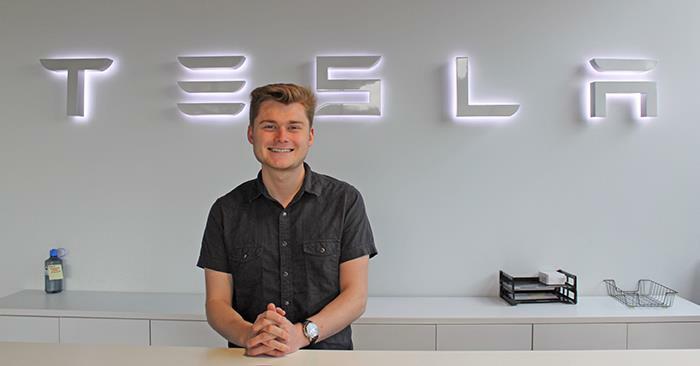 Since January, Cutler has been working as a purchasing intern within a team of global supply managers supporting four different Tesla vehicles. His days do not consist of coffee runs and copies. Some of his responsibilities include managing cost reduction initiatives, negotiating pricing with current suppliers and managing change control initiatives between the engineering/design teams and their suppliers. Whatever obstacles might pop up during his internship, Cutler will certainly be ready to meet them, and it will not be the first time he has faced adversity from Tesla. In 2016, he made it to the final round of interviews for an internship with the company before learning he would not receive an offer. Rather than being satisfied with making it further in the process than thousands of other applicants, Cutler took it as a sign to bolster his credentials and try again. Following his second internship with Boeing, a six-month stint in Long Beach, Calif., he was better suited to apply for and receive his current position. With all the work experience he has already accumulated, it can be easy to forget Cutler is still a student. The O’Fallon, Mo., native is on track to graduate in December 2018, and his future seems full of possibilities. 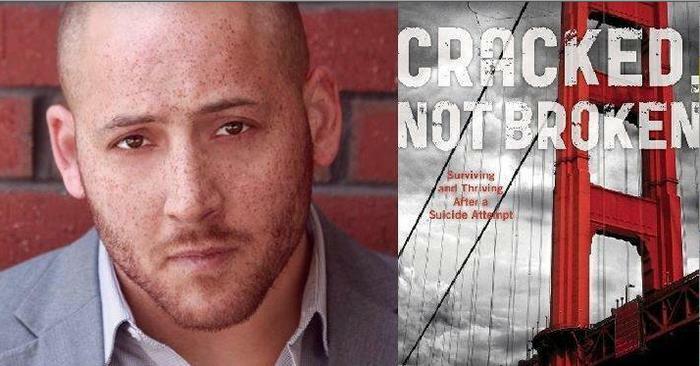 Hines, one of the few survivors of a suicide attempt from the Golden Gate Bridge, released his memoir titled “Cracked, Not Broken, Surviving and Thriving After a Suicide Attempt.” He is currently producing a documentary titled “Suicide: The Ripple Effect,” and his story was featured in the 2006 film “The Bridge” by film director and producer Eric Steel. From Feb. 26 through March 2, KTRM, the Women’s Resource Center and the Bike Co-op competed in the Student Giving Campaign. All three organizations competed for the greatest number of students donating $5 or more to their cause. 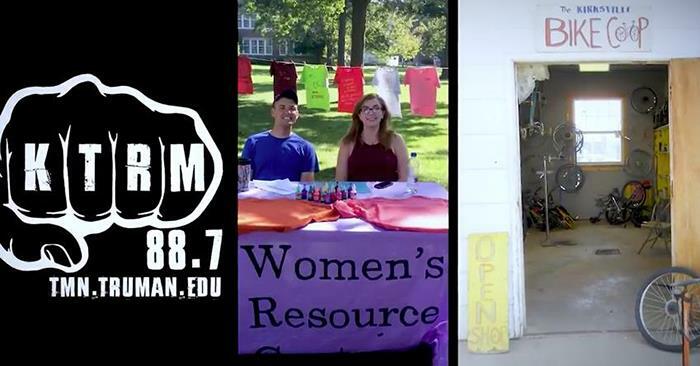 KTRM was raising money for station and music upgrades, the Women’s Resource Center was raising money for free STI testing on campus and the Bike Co-op was raising money for their new campus bike share program. The Bike Co-op came in first place with 68 student donors and received a $2,000 match from alumna donor Colleen Ritchie (’84). The Women’s Resource Center came in second place with 35 donors and received a $1,000 match. KTRM came in third place with 30 donors and also received a $500 match. Young alumni, parents and friends also supported improving the student experience during the Student Giving Campaign. 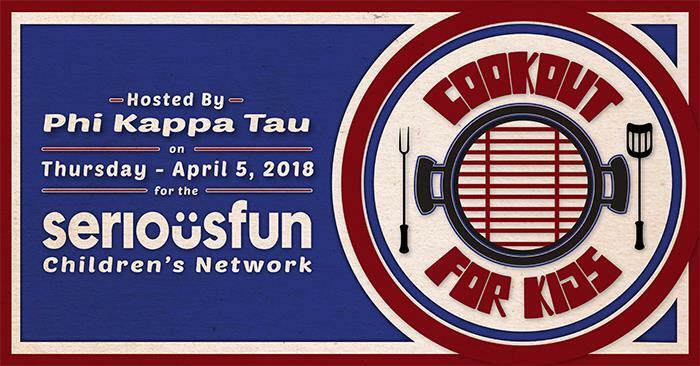 Truman’s chapter of Phi Kappa Tau will conduct its annual Cookout for Kids April 5 to benefit the SeriousFun camps for children with chronic or terminal illnesses. This year’s cookout menu includes a pulled pork sandwich or veggie burger, along with chips, a cookie and a soda or bottled water for $5. All pre-ordered meals will be delivered between 10:30 a.m.-2 p.m.
Members will be taking orders from 11 a.m.-2 p.m. March 20-22 and March 27-29 at a table in the Student Union Building. Orders also can be made online through March 30 at truman.phikappatau.org/cookout or by contacting Spencer Wilson. In an effort to prepare and sell as many meals as possible, Phi Kappa Tau members have worked with area businesses to secure donations and keep their costs low. Among those making in-kind contributions to the Cookout for Kids are Smithfield Foods, the Wooden Nickel, Hy-Vee and Walmart. Several other businesses have made financial contributions, including: Kirksville Motor Company; Sonny’s Collision Center; Galt Speak; Heritage House Realty; Peters Heating and Air Conditioning; Woody’s Tire and Auto; North Kansas City Electric; Forethought Travel LLC; Earl T. Burton, agent, New York Life Ins. Co.; Kirksville Pharmacy; Rapture Hair Salon; Holiday Inn Express; Kirksville Country Club; Hampton Inn; Vicki Benson and RE/MAX Home Team; the Benson Law Firm LLC; and Pepsi-Cola Memphis Bottling Co. Inc.
Actor and philanthropist Paul Newman, a Phi Kappa Tau alumnus, founded the SeriousFun camps. They provide multiple one-week camping experiences for children who suffer from chronic and terminal illnesses that require around-the-clock care and frequent hospitalizations. The camps offer these experiences free of charge to children’s families, and it is only through contributions the camps are able to continue. One hundred percent of the profits from Cookout for Kids go to the camps. The Missouri Court of Appeals, Western District, will convene court at Truman March 28. A three-judge panel, consisting of Chief Judge Mark Pfeiffer, Judge James Welsh and Judge Cindy Martin, will hear oral arguments in the Student Union Building Activities Room at 9:30 a.m. Afterward, the judges will answer questions about the court system in Missouri, especially the appellate courts. The cases are appeals from previous trials and other proceedings in area circuit courts. The judges will hear attorneys argue whether errors were made requiring the cases to be retried or the trial court’s judgment reversed. The judges will read written arguments before the court session and may interrupt the attorneys’ arguments with questions. Presiding Chief Judge Pfeiffer was appointed to the Western District in 2009. He previously practiced law in Springfield and Columbia. Judge Welsh was appointed to the Western District in 2007. Prior to his appointment, he practiced law for 10 years and then served successively as a municipal judge, associate circuit judge and circuit judge in Clay County. Judge Martin was appointed to the Court in 2009 and had previously practiced law for more than 25 years in Kansas City and Lee’s Summit. The March 28 session will be the 13th time the Western District has sat for arguments in Kirksville. Although the court convenes regularly at its courthouse in downtown Kansas City, it has convened sessions in many of the 45 counties in the court’s jurisdiction. Truman has earned recognition as a 2017 Tree Campus USA school. 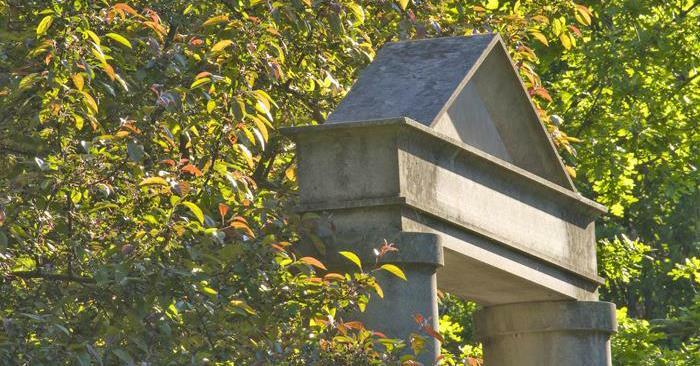 Tree Campus USA, an Arbor Day Foundation program, honors colleges and universities for effective campus forest management and for engaging staff and students in conservation goals. 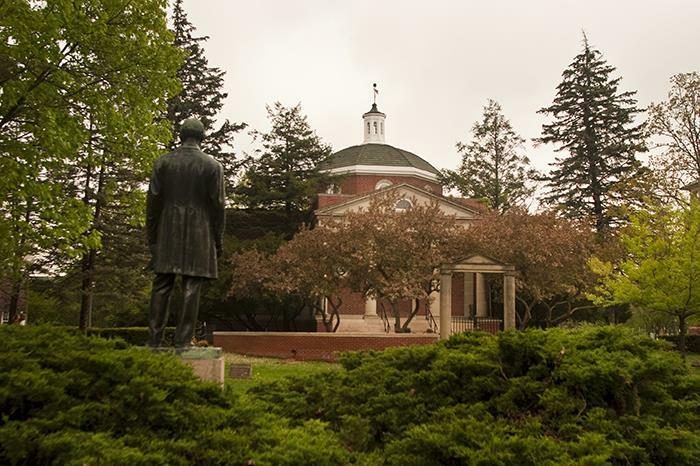 To obtain this distinction, Truman met five core standards for effective campus forest management: a tree advisory committee, a campus tree-care plan, dedicated annual expenditures for its campus tree program, an Arbor Day observance and student service-learning projects. More information about the program can be found here. 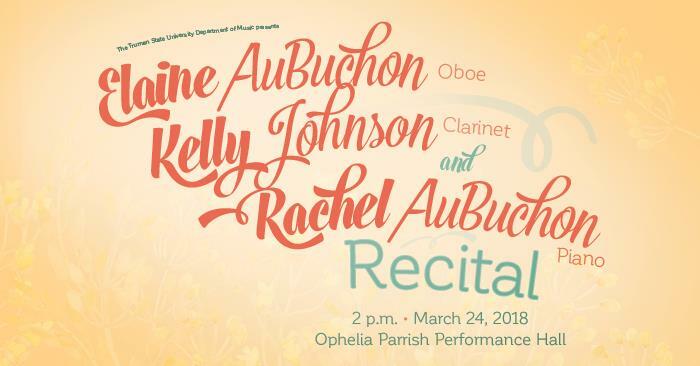 Elaine AuBuchon, Kelly Johnson and Rachel AuBuchon will take the stage in a faculty recital at 2 p.m. March 24 in the Ophelia Parrish Performance Hall. Elaine AuBuchon teaches the oboe and bassoon studios, woodwind methods and perspectives in music at Truman. She received a Bachelor of Music and a Bachelor of Science in Education at the University of Missouri-Columbia, and then moved to the Chicago area where she graduated with a Master of Music from Northwestern University. AuBuchon has been the principal oboist of the Elmhurst Symphony, the Waukesha Symphony and the Missouri Chamber Orchestra, as well as the English Hornist with the Quad City Symphony. She has also performed with the New World Symphony and various other professional orchestras and chamber groups in the Chicago area. Johnson is principal clarinetist with the Arkansas Symphony Orchestra and associate professor of clarinet at the University of Central Arkansas. She has been a soloist at several International clarinet conventions including the 2007 International Clarinet Convention in Vancouver, Canada, the 2005 International Clarinet Association Convention in Tokyo, Japan, and the 1998 International Clarinet Association Convention in Ohio. She also performed at the 1999 International Clarinet Association Convention in Belgium where she released her solo CD titled “Clarinet Unlimited,” which features the clarinet works of Belgian composer Norbert Goddaer. Johnson’s new CD project, “Child’s Play: Stories, Songs and Dances,” will be released later this year. Johnson received her Master of Music degree in Clarinet Performance from Arizona State University. Selected as Outstanding Graduate Performance Student in 1994, she completed the Doctor of Musical Arts degree in clarinet performance from ASU in 1999. Rachel AuBuchon devotes much of her time to collaborating with instrumentalists and vocalists, finding an unusual balance between lieder and saxophone literature. Past performance venues have included the 2014 North American Saxophone Conference and the 2011 Navy Symposium with Trio Chymera, and the 2012 World Saxophone Congress with Leo Saguiguit. An avid supporter of new music, AuBuchon participated in the International Composers Festival in Columbia, Mo., in 2012 and 2013. Her love of vocal literature led her to participate in the CoOPERAtive program in Princeton, N.J. in 2013 and serve as a staff accompanist for the national NATS conference in 2015 and 2016. AuBuchon graduated with a Bachelor of Music degree in piano performance from Truman and an Master of Music in accompanying at the University of Missouri. She served on the faculty of Stephens College from 2006-2011 and on the accompanying staff of University of Missouri from 2006-2014. She is currently pursuing her DMA at the University of North Carolina at Greensboro as she joins the staff at Truman. The Office of Admission is looking for candid, creative photo submissions showcasing one of Truman’s best features – the diverse and engaged population of students on campus. All current students are invited to submit photographs of themselves and their peers doing what they do best – hanging out in the residence halls, working in the classroom, taking the lead in student organizations or even exploring the world while studying abroad. Any setting is fair game as long as the focal point is one or more Truman students. Posed photographs will not be accepted. The best representation of the student body is one where students are shown in a candid environment. 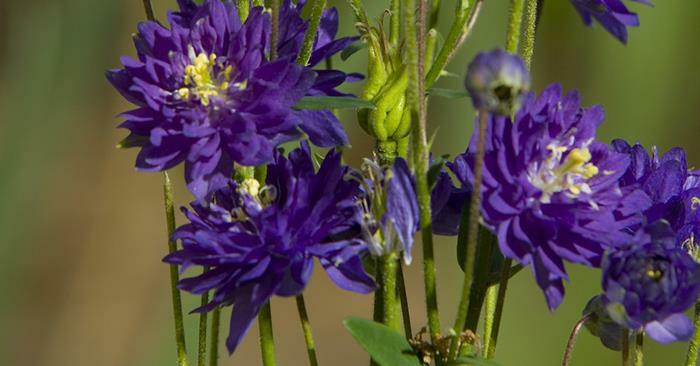 Photos may be taken on any type of camera, but poor-quality photos will not be accepted. Photos may also be edited before submission, as long as such touch-ups are not overly noticeable. Submissions will be accepted from March 19 through April 16. Prizes for participation will be offered, and one submission will be selected as Best Photo and will receive a grand prize after the submission window has closed. Photos can be submitted online. 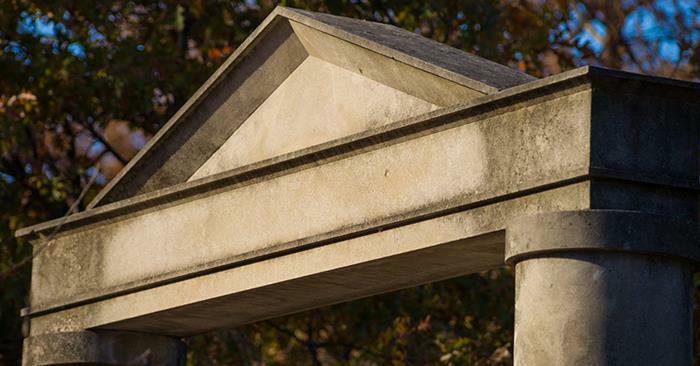 Students who choose to submit to the “Faces of Truman” photo contest must provide written consent for photographs of themselves and for any other pictured students to be used in any University communications. 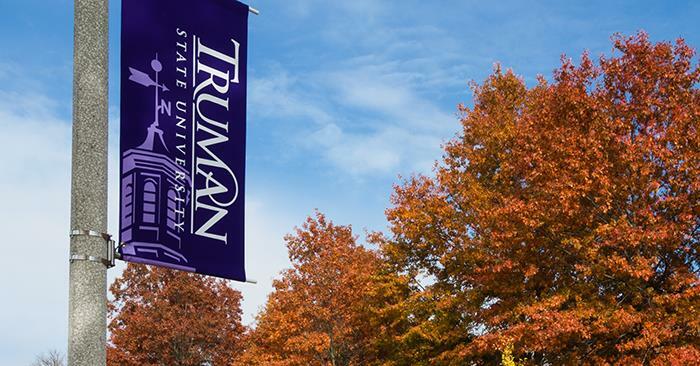 Upon submission all photos become the property of Truman State University. 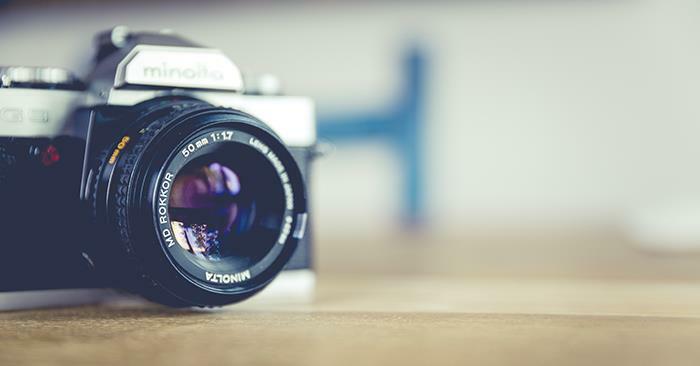 Photos may be used for, but are not limited to, University publications, promotional materials, websites and social media platforms. Email Austin Hornbostel at ahornbostel@truman.edu with any questions. A group of four debaters from Truman’s forensic union received second place in debate sweepstakes at the Hornet Cup at Sacramento State University, Calif., March 3 and 4, and senior Kelsey Barnes was named tournament champion in Lincoln-Douglas debate. Barnes started the tournament with a 6-0 preliminary round record which pushed her to the semi-final round immediately. She won her semi-final round on a 3-0 decision from the judging panel. In the final round, Barnes faced off against Alex Rivera of Western Kentucky University and defeated him in a 2-1 decision. Barnes only lost a single ballot for the entire tournament. Additionally, she was named fifth-best speaker at the tournament. Joining Barnes as quarterfinalists were juniors Tyler Behymer and Johnathan Christy. Behymer won his octofinal round to advance to quarterfinals but finished as a quarterfinalist to WKU’s Rivera who moved on to the final. Christy also won his octofinal round, but the bracket created a pairing against Barnes in his quarterfinal. Because of her strong preliminary round scores, Barnes was chosen to advance over Christy and he finished as a quarterfinalist. The team will attend the National Forensic Association championship tournament April 17-23 hosted by the University of Wisconsin-Oshkosh. This year, the team earned 22 national qualifications and will be represented by 14 students. 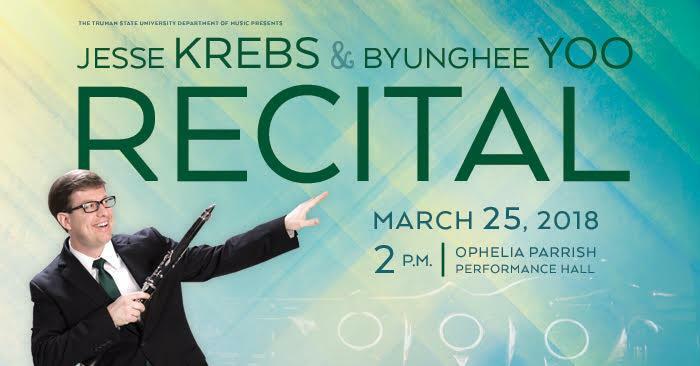 Jesse Krebs and Byunghee Yoo will perform a faculty recital at 2 p.m. March 25 in Ophelia Parrish Performance Hall. The first half of the recital will feature the melodic clarinet sonata by Daniel Gregory Mason, which is historically significant as the first American clarinet sonata ever composed. The second half will include an unaccompanied clarinet piece, “Two Waltzes,” by Marquez Barrios, assistant professor of music. It was composed in honor of his grandparents and will be performed by Krebs this summer in Belgium at the International Clarinet Association’s 2018 ClarinetFest conference. Krebs will then perform a piece for clarinet and CD by Andrew Hannon titled, “Two Lost Loves.” The program will conclude with the jazzy “Grooves for Clarinet and Piano” by Philip Parker, who is on the music faculty at the Arkansas Tech University. Sponsored by the Department of Music, the recital is free and open to the public. 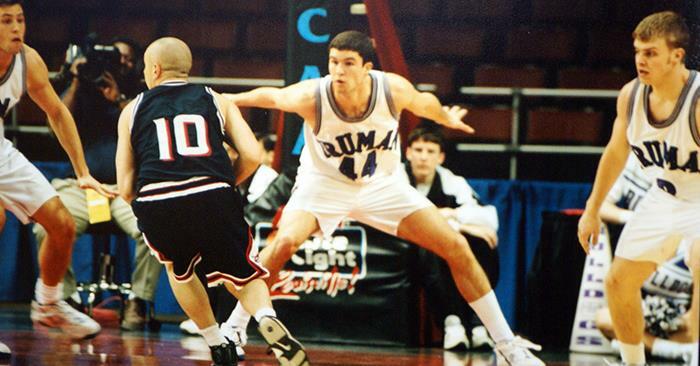 The 1998-99 Bulldogs had one of the greatest seasons in the history of men’s basketball at Truman. That year, the team finished with a 26-7 record and won the conference and South Central regional tournaments. To top it all off, the team advanced to the NCAA Division II Final Four. Truman opened the campaign by starting 7-0, the squad’s best start since 1963-64. After dropping their next four games, the team would win 19 of its next 22 games and secure its first NCAA postseason appearance since 1981. The 1998-99 winning streak is surpassed only by the pair of 19-game tears of the 1946-47 and 1947-48 teams. By capturing their final eight MIAA games, including a win over then top-ranked Pittsburg State (Kan.), the Bulldogs finished the conference season with a 12-4 record, good enough for the No. 3 seed in the MIAA postseason tournament. The conference tourney brought three games that could have easily ended the Bulldogs’ season. However, Truman won all three contests by a combined seven points, including two that were decided in the final two seconds. Cory Parker’s jumper with 1.6 seconds left at Pittsburg State made the Bulldogs a 76-74 winner. Jason Reinberg’s two free throws with one second left gave Truman a 70-68 home win over Northwest Missouri in the MIAA tournament championship tilt. It marked the first MIAA tournament championship for Truman since it won the initial league tourney in 1981. Truman’s momentum was evident in the regional as it upset MIAA foe and 13th-ranked Missouri Western 82-69 on the first day, snapping an eight-game losing skid to the Griffons. Game two brought the host and top-ranked team in the region, Midwestern State (Texas). Again, Truman notched a 13-point win, defeating the No. 19 Indians, 81-68. In the regional final, clutch free throw shooting in the second half helped the team to a 76-69 win over Abilene Christian (Texas) and a berth in the NCAA Division II Elite Eight. The Bulldogs had not made it that far in the postseason since 1959-60. Truman’s most exciting game, in what was a thrilling season, was still ahead of it. At Louisville, Ky., site of the 1999 Division II Elite Eight, the Bulldogs and St. Rose (N.Y.) couldn’t decide a winner through two halves and two overtimes. But Truman seized the lead in the third extra period and advanced with a 106-101 victory. In the semifinal, Truman’s run came to an end, as No. 16 Metro State (Colo.) downed the ’Dogs 69-65 after Truman rallied from 24 down at one point. The Center for International Students is hiring student workers for the 2018-19 academic year. 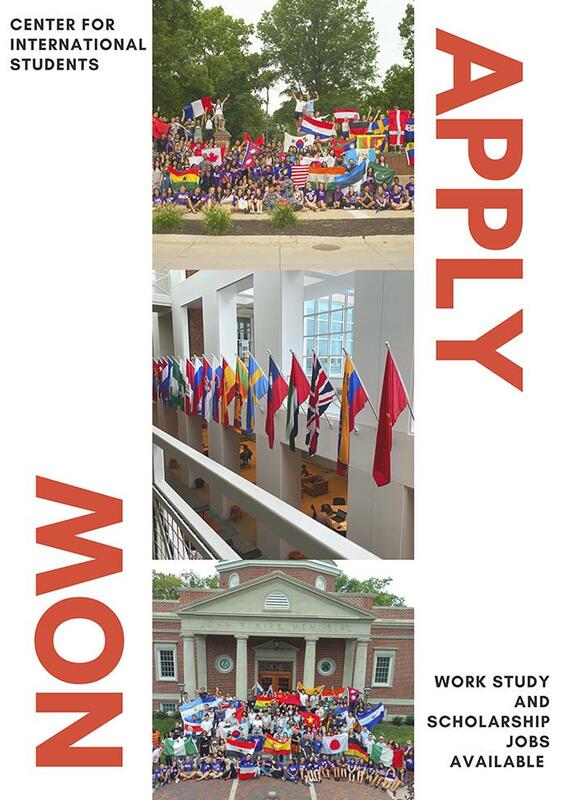 Work study and scholarship jobs are available. Applications are due March 19 and can be filled out online. For more information, email iso01@truman.edu. Following the forum, a meet-and-greet reception with the candidate will occur in Violette Hall 2351. A video of the forum for Ozlem Ersin and feedback of the candidate can be found here, along with curriculum vitae of both candidates. The Center for International Education Abroad will host a session about including study abroad experience on resumes and applications at 6 p.m. March 20 in Violette Hall 1400. A representative from the Career Center will talk about multiple ways in which study abroad can be applied to application materials. Resumes for the candidates can be found here. This event is part of the Student Government Association’s Diversity Week. Washington is a nationally renowned speaker on issues of diversity and equality. He has served as an educator, administrator and consultant in higher education for more than 30 years and is the president and a founder of the Social Justice Training Institute. He also serves as visiting assistant professor of religion and social ethics at Winston Salem State University. 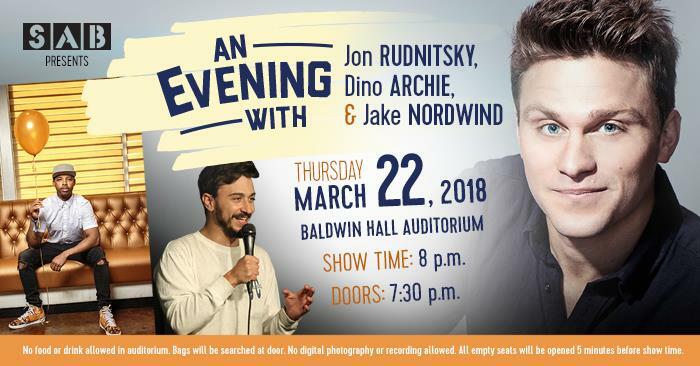 The SAB Comedians and Films Committee presents SNL’s Jon Rudnitsky with openers Dino Archie and Jake Nordwind March 22 in Baldwin Hall Auditorium. Doors will open at 7:30 p.m., and the show will start at 8 p.m. No tickets necessary. Bring a Truman ID to the entrance. No food or drink allowed, and bags are subject to search. The Student Public Health Association will host tables in three locations to share information about the dangers of distracted driving. “Drive Means Dive” tables are scheduled from 10:30 a.m. to 2:30 p.m. in McClain Hall (March 20), Magruder Hall (March 21) and Pershing Building (March 22). 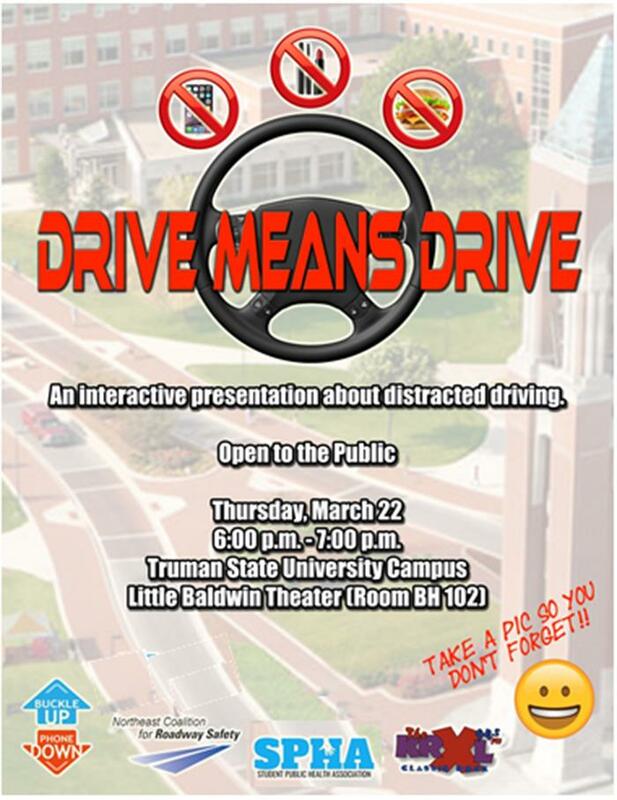 They are also helping sponsor the “Drive Means Drive” event at 6 p.m. March 22 in the Baldwin Hall Little Theater. 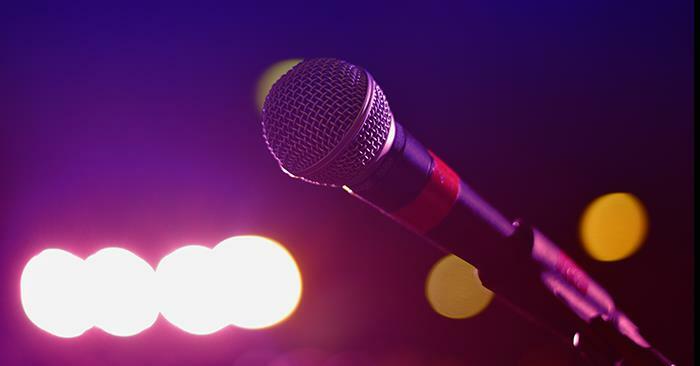 UpChuckles, Truman’s standup comedy organization, will host its second annual faculty and staff show at 8 p.m. March 23 in Baldwin Hall Auditorium. Tickets are $5 and all proceeds go to the Food Bank for Central and Northeast Missouri, a regional disaster and hunger relief network that acquires and distributes millions of pounds of food annually to partner agencies across a 32-county area. After being coached for weeks by UpChuckles comics, the faculty members will take stage with stand-up comedy. The judges for this year’s competition include: last year’s winner, Dylan Phillips; Lisa Simms, UpChuckles’ president; and President Sue Thomas. Tickets will be sold in the Communication Department Office, Barnett Hall 1400, starting March 19. They will also be sold in the Student Union Building March 23 and at the door the night of the performance. 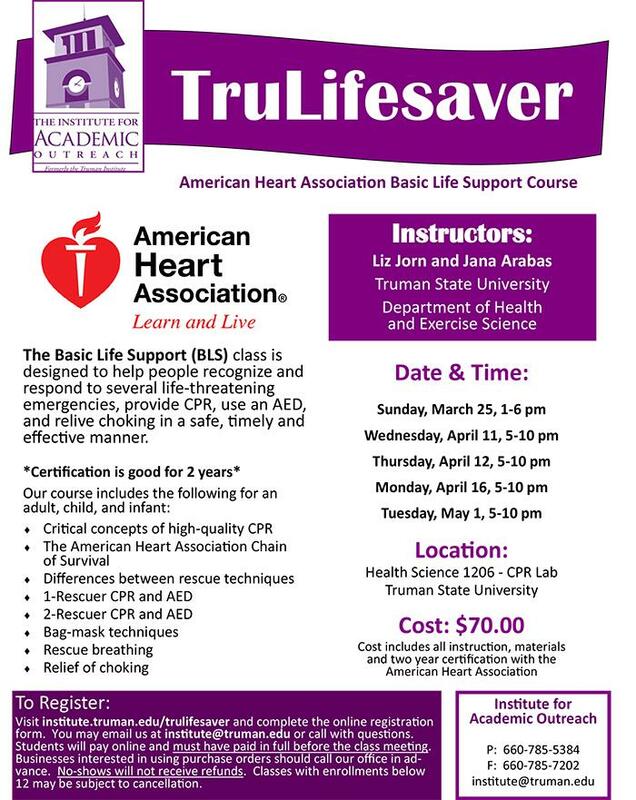 For more information, contact Simms, lks5138@truman.edu, or Jay Self, selfjw@truman.edu. UpChuckles can be found on Facebook, as well as Twitter and Snapchat at upchucklestsu. 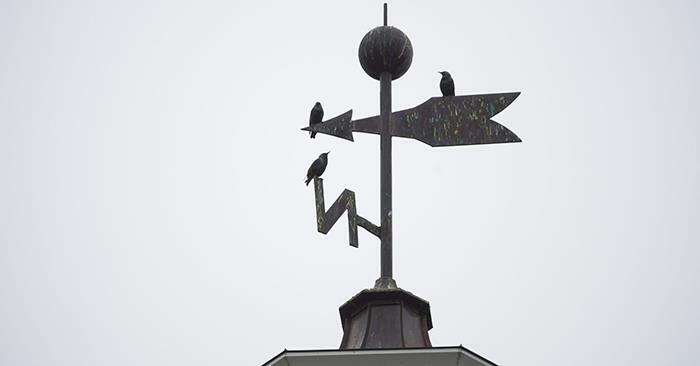 John Clayton will give a presentation entitled “What is God, and How are We in His Image?” at 7 p.m. March 23 in the Del and Norma Robison Planetarium. Clayton, a former atheist, decided to write a book called “All the Stupidity of the Bible” but instead, found himself slowly becoming convinced about Christianity. He is a retired teacher and geologist by profession, having taught for 41 years in public schools in South Bend, Ind. He maintains a website that argues that science and faith are not enemies but friends. The presentation is sponsored by Ekklesia Campus Ministry and Churches of Christ. 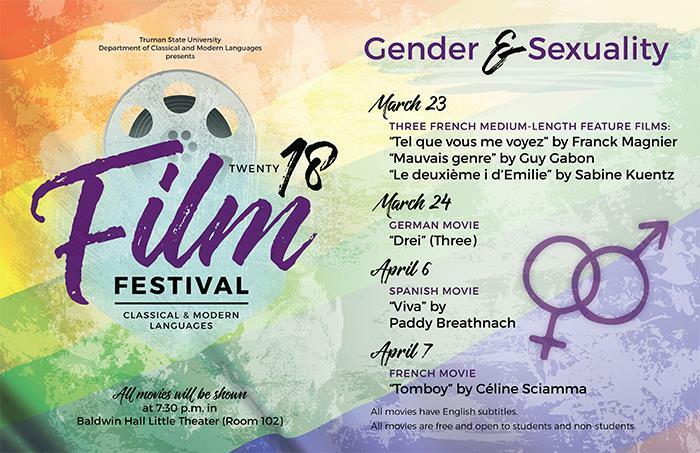 The festival will occur over two weekends, March 23-24 and April 6-7, and the films will begin at 7:30 p.m. in Baldwin Hall Little Theater. The films will be in Spanish, French and German, all shown with English subtitles. The festival is free and open to the public. For more information, contact Audrey Viguier. 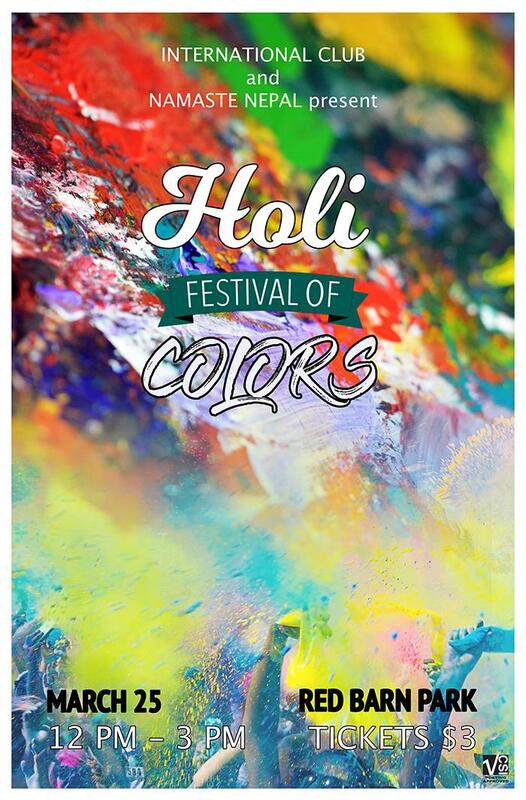 A Holi festival celebration will occur 12-3 p.m. March 25 at Red Barn Park. Usually taking place in late February or early March, Holi festival marks the beginning of spring and is celebrated by Hindus around the world. Participants in the festival often throw bright colored powder at each other, similar to the powder thrown during color runs. The event, sponsored by International Club and Namaste Nepal, will include performances and refreshments. Tickets are $3 and will be sold March 20 on the Quad, March 21 in Violette Hall and March 22 in the Student Union Building. For a video of last year's event, click here. 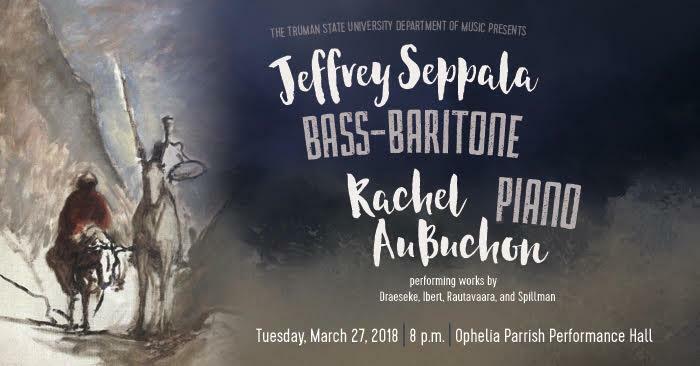 Jeffrey Seppala and Rachel AuBuchon will perform in a faculty vocal recital at 8 p.m. March 27 in Ophelia Parrish Performance Hall. This recital will include selections by Draeseke, Ibert, Rautavaara and Spillman. Sponsored by the Department of Music, the concert is free and open to the public. The School of Business is now accepting applications for academic peer mentor scholarship positions for the 2018-19 academic year. Academic peer mentors support the professional and faculty advising staff by providing an academic outreach program to first-year business and accounting students. 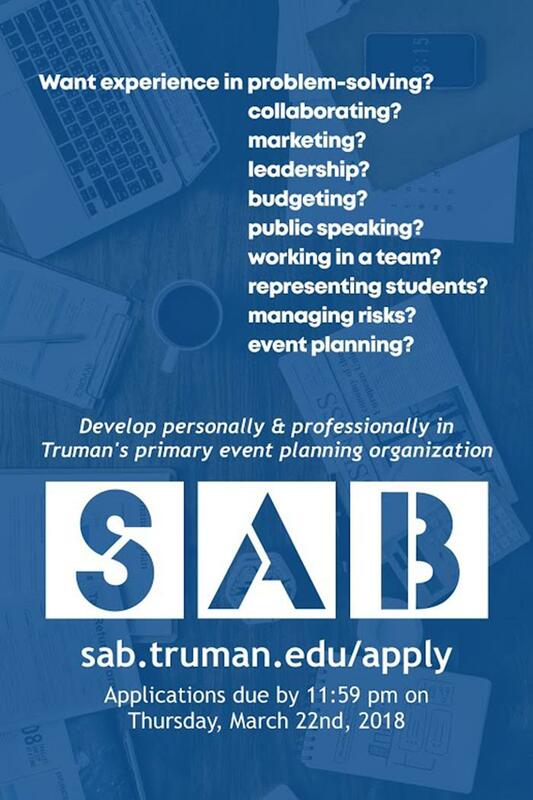 These positions are limited to School of Business majors who will be at junior or senior status in the 2018-19 academic year. Position descriptions and applications can be obtained at the Business Academic Advising Center in Violette Hall 2464. Applications are due April 4. For more information contact Billi Gordy, business academic advisor. Truman, in partnership with the GRINT Centre for Education and Culture at Moscow University, offers a unique opportunity for students to study abroad in Moscow, Russia. Located in the Vykhino district, known for its parks and gardens, the GRINT Centre has easy access from downtown Moscow by subway. With impressive architecture, famous museums and a plethora of social activities that come with life in this historic city, there is always something to do. 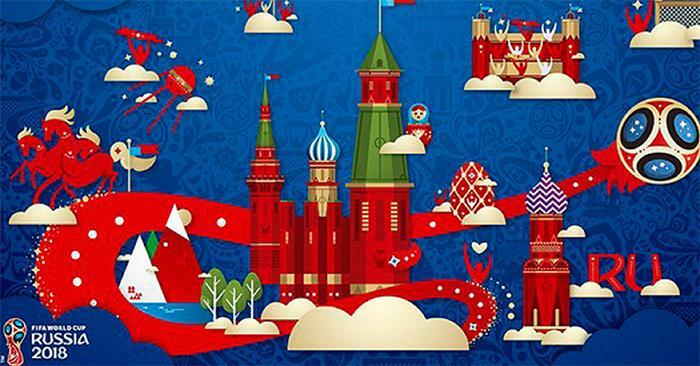 This summer Russia will host the FIFA World Cup tournament with many games, including the championship match, being played in Moscow. This extensive cultural program includes weekly visits to Moscow theaters, concert halls and sport arenas. Students will also embark on weekly field trips and culture visits to major Moscow places of interest. The GRINT Center for Education and Culture program seeks to actively involve students with Russian culture, helping them to learn and better understand Russian language, history, art and traditions. In addition to a required intensive Russian language course, which is taught at all levels by highly experienced teachers, students can earn credits through the following courses: Russia today; general survey of Russian history and lecture series; survey of Russian literature; and survey of Russian cultural history in excursions. The GRINT Centre for Education and Culture offers housing in residence halls within a five-minute distance from the classrooms. 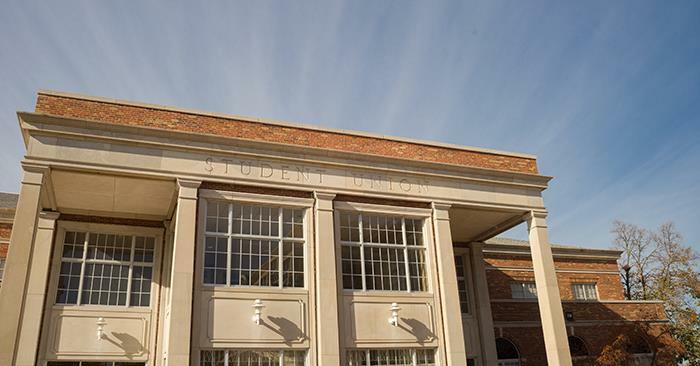 Students who stay in residence halls receive meal plans and access to on campus sports facilities, including an indoor swimming pool. Homestays are also available upon request. The summer program will occur May 20 through July 15. 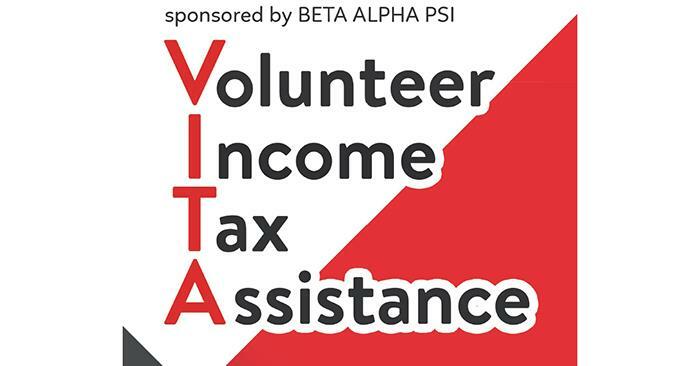 For more information about this program, click here. Applications are due April 15. To apply, fill out a Truman online application, send a statement of purpose, official transcripts, a copy of passport and two letters of recommendation to the Study Abroad Office in Baldwin Hall 106. For more information about studying abroad, contact the Center for International Education/Study Abroad, Baldwin Hall 106, 660.785.4076, ciea@truman.edu. Zach Fischer was named to the Division II Conference Commissioners Association (D2CCA) All-Midwest Region Second Team as nominated/voted on by the country’s sports information directors. Fischer is the eighth Bulldog to earn all-region honors. Fischer started all 31 of the team’s games this season and scored in double-figures for all but two of them. The 6’4” big man racked up 17 double-doubles. Fischer is also the first CoSIDA Academic All-American for Truman men’s basketball since 2011 and first on the first team since 2000. The St. Louis native was one of 15 Division II players named to a first, second or third team as announced by the organization. Alyssa Hajduk was named GLVC Pitcher of the Week for the week of March 5. In four and two-thirds innings of pitching, Hadjuk did not allow a single run and only surrendered a single hit during the team’s sweep over Saginaw Valley State, March 4. This is the seventh Player of the Week recognition for the Bulldogs since joining the conference prior to the 2014 season. For more information on eligibility criteria, or how to apply, visit the Freeman-AASIA Awards website. 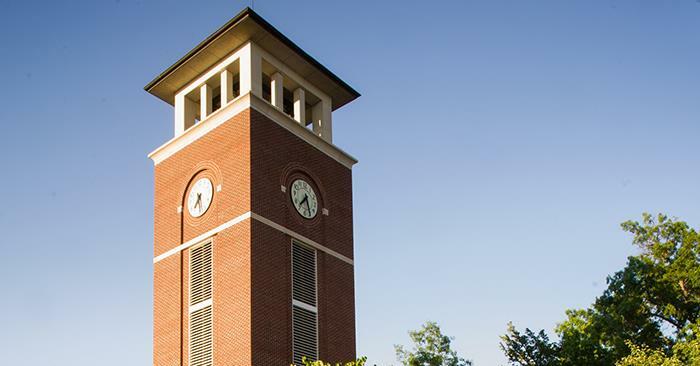 The deadline for the fall academic year is April 11.